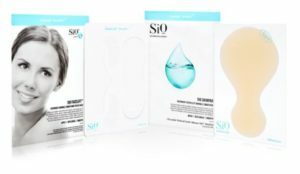 SiO Beauty is a skin care and beauty brand with a mission to help women feel confident and beautiful. 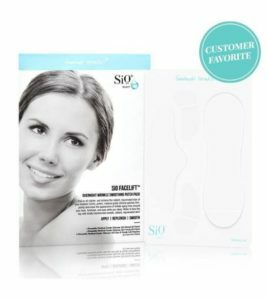 Known for its line of medical-grade silicone patches, SiO offers a wide variety of anti-aging solutions. With Big Apple Buddy’s personal shopping service, you can now buy the latest products from the USA SiO online store anytime, anywhere. The Décolleté Wrinkle Smoothing Duo features two of SiO’s wrinkle reduction innovations: nighttime SiO SkinPad and Morning Décolleté Serum. Use the two products in a consistent regimen each day and night for noticeably hydrated skin and reduced wrinkles. This powerful skin care combo comes in a luxury gift box, making it the perfect present or treat for yourself. 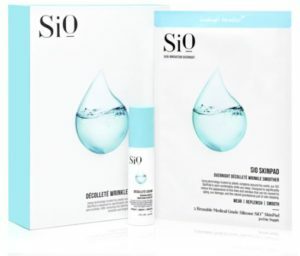 SiO FaceLift is your overnight, no-needles-required solution for younger-looking, plumper skin. The medical-grade silicon patches are comfortable and highly effective. You’ll see visibly smoother skin in the morning! The Wrinkle Rescue Pack includes 1 BrowLift Patch, 2 Eye & Smile Patches, 1 Neck Patch, and 1 Décolleté Patch. This pack will transform and strengthen your skin from brow to bust. Say goodbye to wrinkles and delicate skin! This pack is perfect for a night out in your dress with that plunging neckline. SiO stores are located in the USA. The USA SiO online store unfortunately does not offer international shipping. Not to worry though! Big Apple Buddy, your personal shopper, can help you buy products from the USA SiO online store and ship them to your doorstep, no matter where you are in the world. We offer international shipping to over 110 countries including Australia, Austria, Azerbaijan, Bahrain, Belgium, British Virgin Islands, Brunei, Bulgaria, Canada, Chile, Costa Rica, Croatia, Czech Republic, Denmark, Estonia, Fiji, Finland, France, French Polynesia, Germany, Gibraltar, Greece, Greenland, Hong Kong, Hungary, Iceland, Indonesia, Ireland, Israel, Italy, Japan, Jordan, Kuwait, Latvia, Liechtenstein, Lithuania, Luxembourg, Macau, Malaysia, Maldives, Malta, Marshall Islands, Mauritius, Monaco, the Netherlands, Netherland Antilles, New Zealand, Norway, Oman, Poland, Qatar, Romania, San Marino, Saudi Arabia, Serbia and Montenegro, Seychelles, Singapore, Slovak Republic, Slovenia, Spain, South Africa, St. Lucia, Sweden, Switzerland, Taiwan, Thailand, the UAE, the UK, Vatican City, and Vietnam. If you would like to buy from the USA SiO online store, simply let us know which items you would like to order (by filling out the form below) and we’ll get back to you with a free international shipping quote within 24 hours!